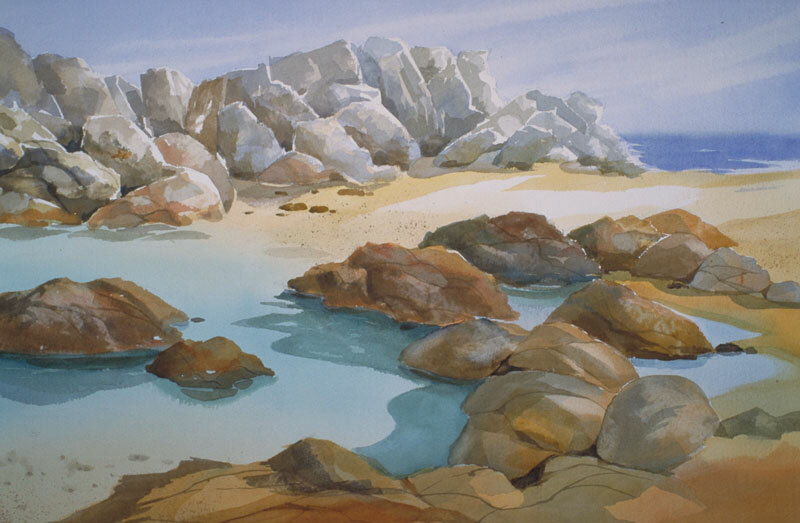 Thomas Freeman Original Watercolor Painting: "Rocks and Tide Pool"
This spot in Pacific Grove was all rocks and sand (of course that's pretty much it: rocks, sand and ocean!). I noticed that the water in the tidepool was a greenish blue while the ocean was a more purplish blue. And the rocks - a lot of work on all those rocks! There's a gap in the rocks to help draw the eye in.